Leading up to Christmas next week, I have a couple of Christmas cakes and a couple of Christmas candy recipes that I want to share with you! 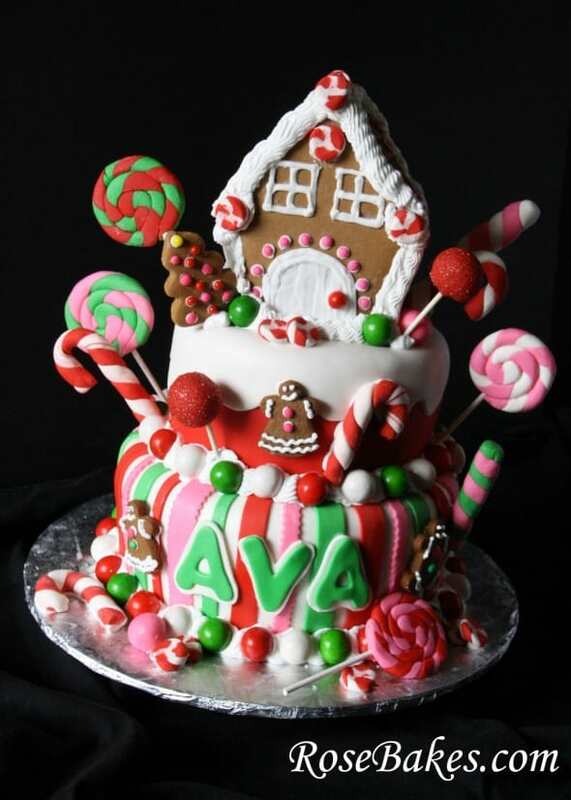 I’m going to start with this Gingerbread House Christmas Candy Birthday cake. 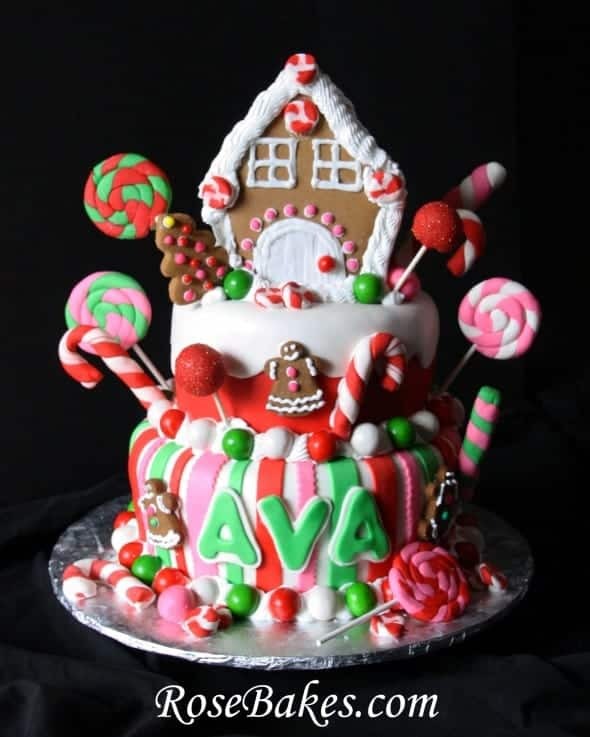 For Ava’s birthday, she had a Gingerbread House building party! 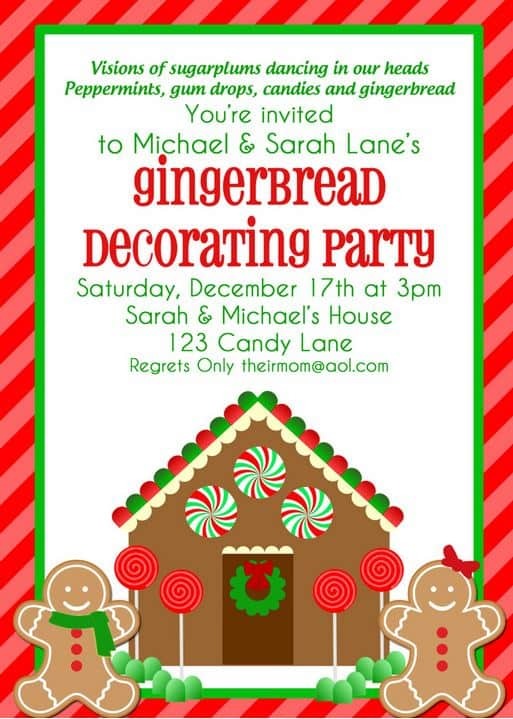 This is her invite – from That Party Chick on Etsy. 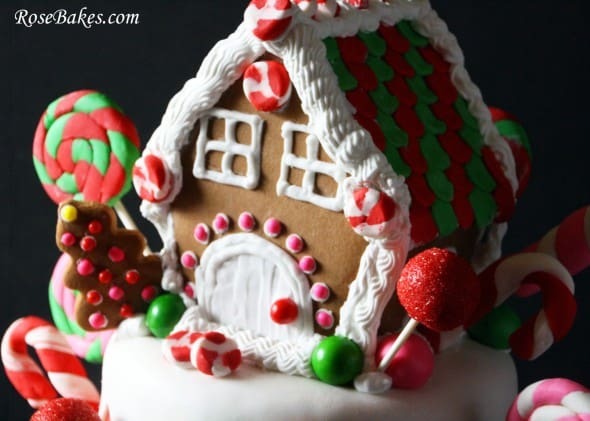 To capture the spirit of a gingerbread houses, I wanted to do a real gingerbread house… and add as much as I could with red, green and pink candy! (Ava requested pink too!). 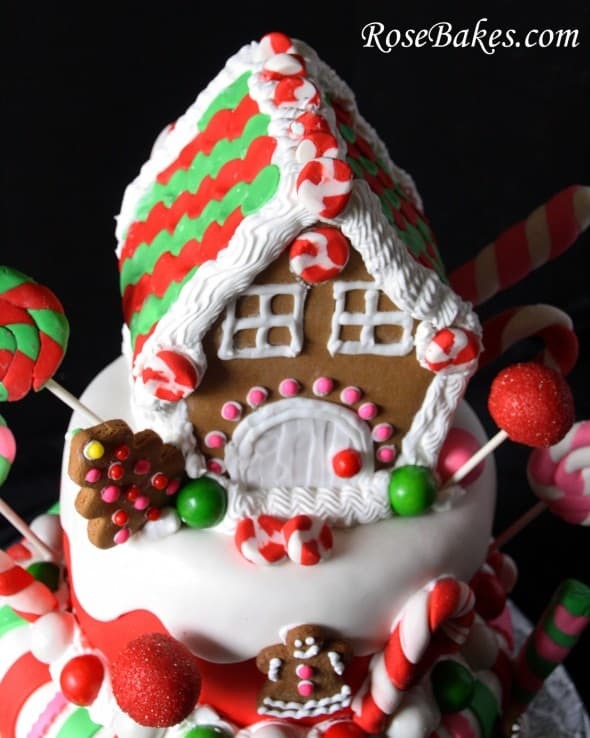 The gingerbread house was real gingerbread… but it was also cake. 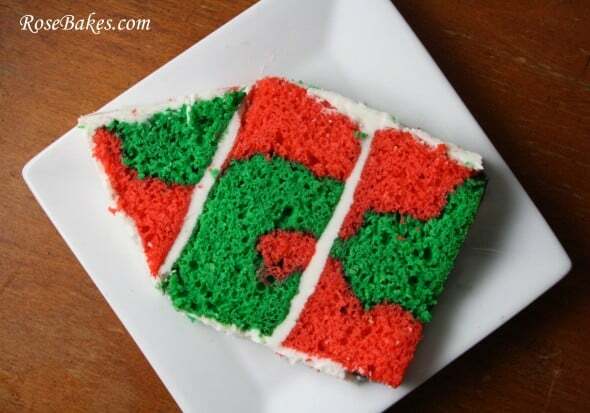 I used the same method as doing the tie-dyed cake (tutorial here), except of course only using red and green vanilla cake! 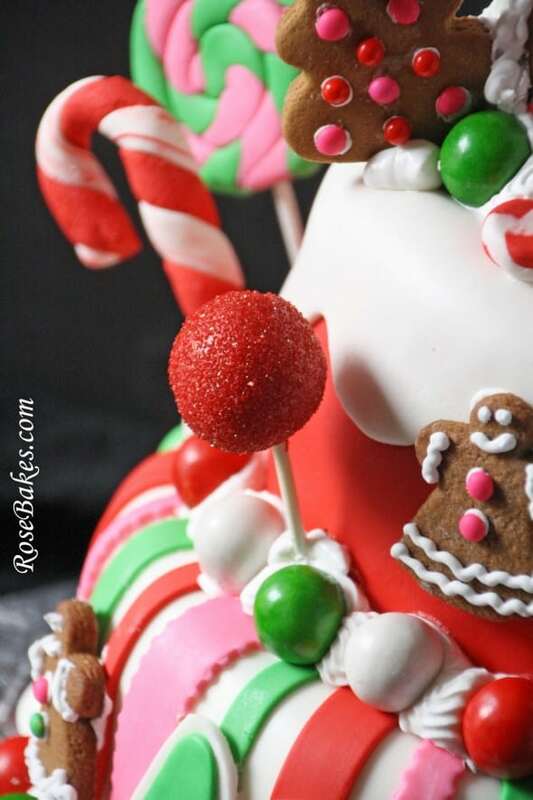 So, I used real gum balls on the border – securing them with piles of stiff royal icing! All of the other candy… lollipops, peppermint, etc. was made with fondant (Tylose added so it would harden). …so I added a couple of those onto the cake to tie it together! 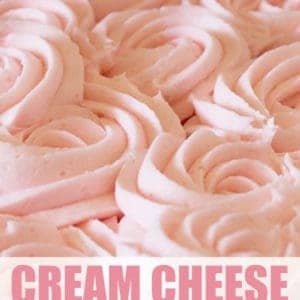 The frosting was vanilla buttercream. 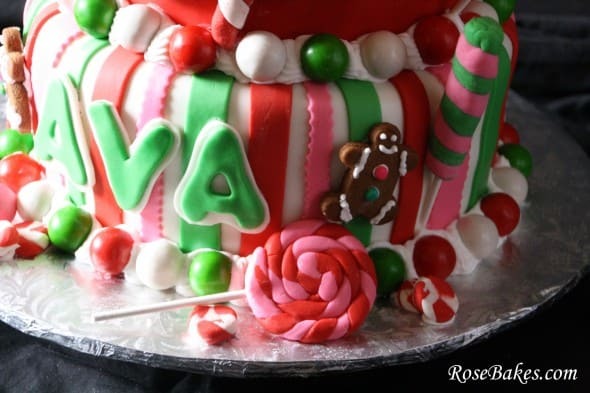 It was decorated with homemade marshmallow fondant for all the colors except red – it was Satin Ice Red Vanilla fondant. Royal Icing on the border and to decorate the gingerbread house. This cake is linked up at Creative Thursday!! 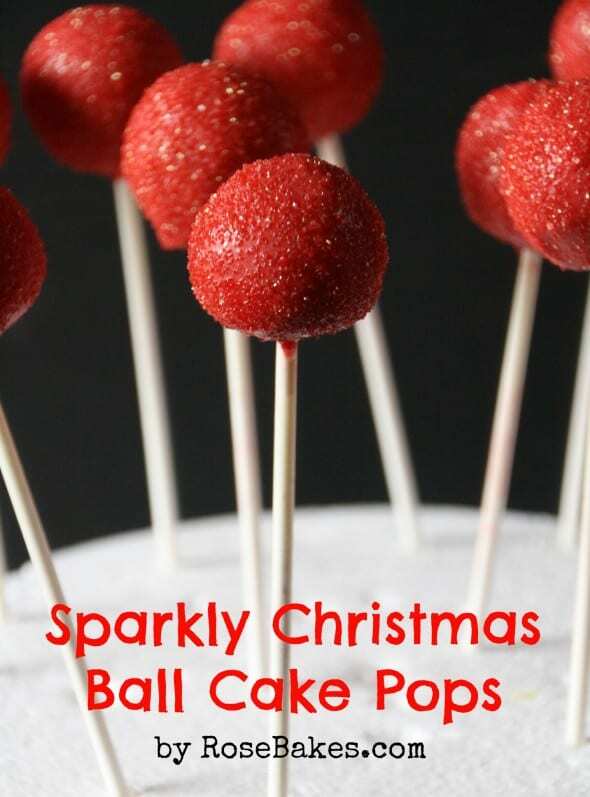 Do you have any questions about this cake or cake pops? Please leave them in the comments and I’ll do my best to answer and help out! 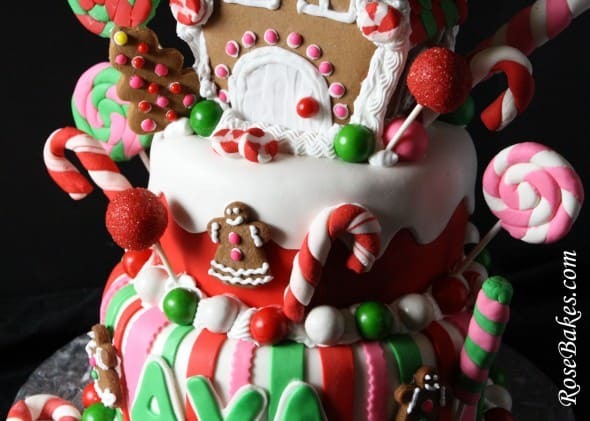 Cake is looking yummy… I must try this on Christmas. Hope will make like the same. This cake is so beautiful! Thanks so much for linking up to Creative Thursday. Can’t wait to see what you share next week! Have a wonderful weekend. Thank you Michelle!! Merry Christmas! !